If you have been to New York you have probably tried the famous Shake Shack and its equally famous shack burger. This summer I was lucky enough to try the shack burger and became instantly hooked! Back home I tried to create many american-style burgers, but none came even close. As often happens I took it to google and actually found a guy who dedicates his life to cooking and burgers more specifically, and actually went out to find this recipe. Kenji Lopéz-Alt writes the Burger Lab features, providing loads of recipes for amazing burgers (yes I want to work for them too) which is part of Serious Eats, an amazing website for anyone who loves food (if you’re travelling anywhere in the States make sure you check their recommendations before leaving). 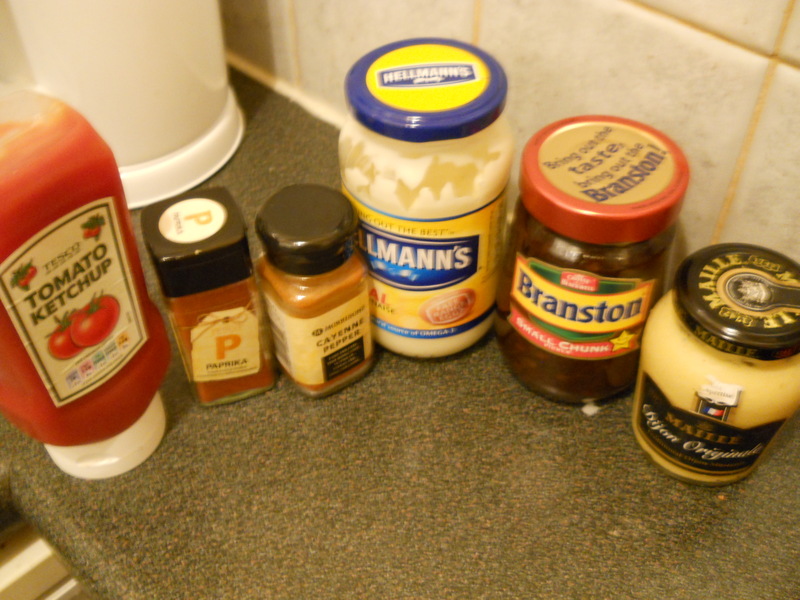 4 slices of pickle (yes you heard it right…if you don’t have this replace it with some pickle relish like Branston). Pinch cayenne pepper, or some chilli sauce you might have. Mix all the ingredients in a blender and voila! Put it in the fridge until you’re going to use it. 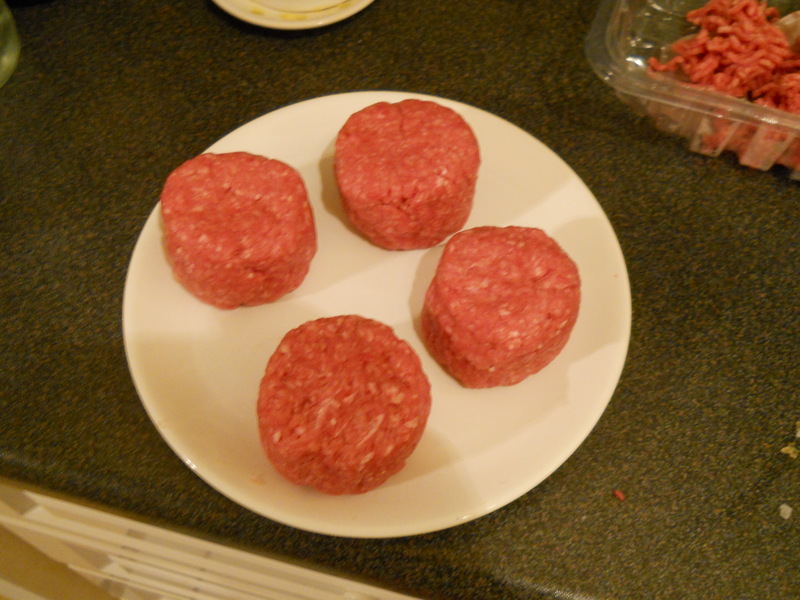 Half a kilo of good quality beef mince (this is no time for Tesco value). Your choice of buns (white with no seeds will make it more authentic). Cheap-looks-like-plastic-american-style cheese (and here Tesco value is your friend). Start by forming the patties into smallish but thick round disks. Put them in the fridge while you prepare the buns. Slice open the buns, spread some butter on them and toast them under the grill. 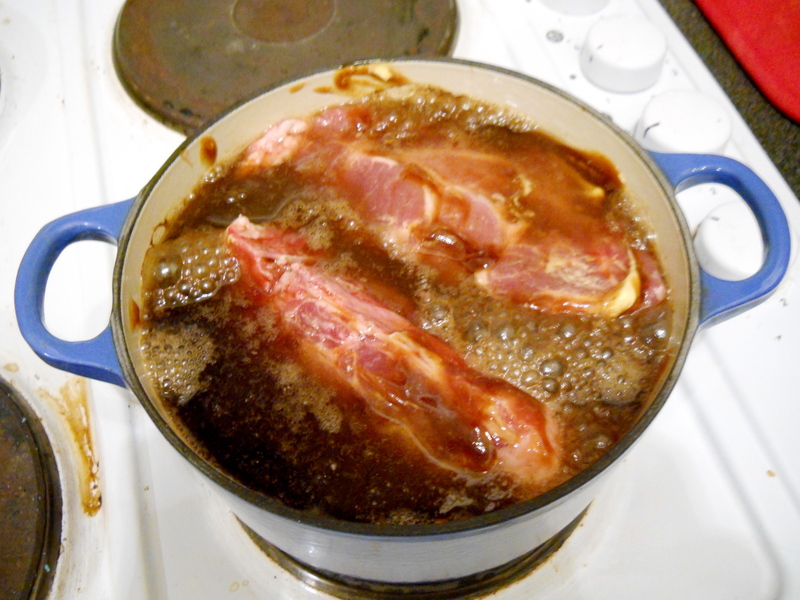 When they start to look golden, take them out and spread some of that amazing sauce on both sides. Now heat up some vegetable oil in a frying pan until really hot. Fry the burger on one side until slightly charred (more or less 2 minutes), flip it, season with salt and pepper and keep cooking for a further 2 minutes or until it feels cooked (you want your burger medium…hence not using tesco value). In the last minute of cooking flatten the burger with a spatula, slap that cheap cheese on it and wait for it to melt. 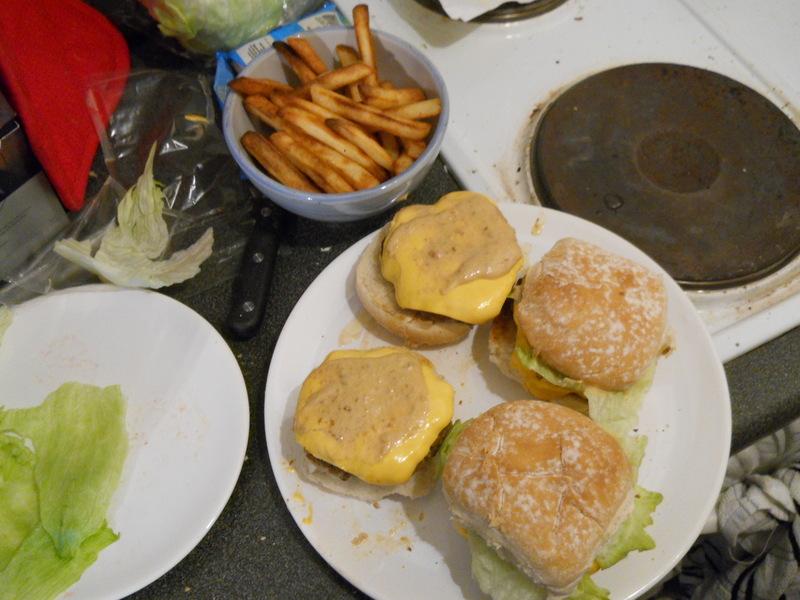 Transfer the burgers into the buns, cover with some lettuce and tomate (and some extra sauce). Enjoy one of the best burgers of your life. Now…if you’re a londoner you probably tried Pitt Cue. when it was under Hungerford bridge. It has now gone to a (thankfully) permanent venue in Soho. 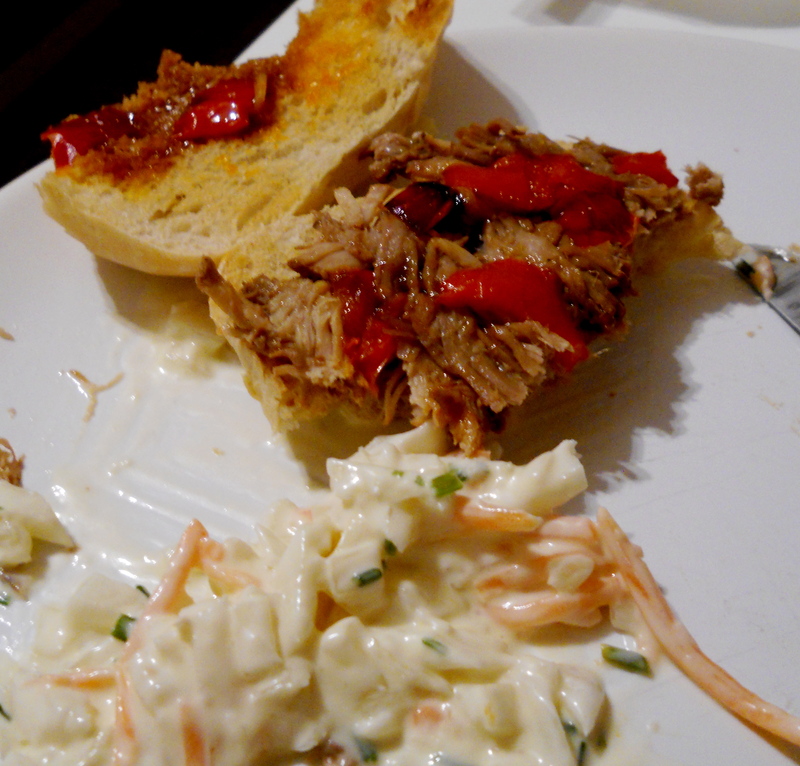 Now…if you’re like me…you crave that/any pulled pork so badly that you need to make it at home. While I’m not claiming to present you with a recipe as good as Pitt Cue.’s, here’s a recipe for pulled pork. 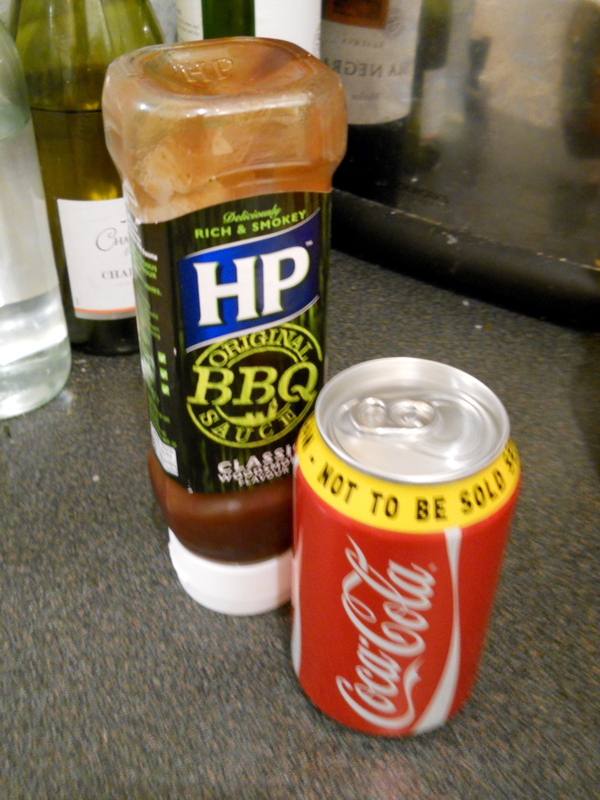 Plus it’s made with Coke and BBQ sauce, which adds a bit of quirkiness to your daily cooking routine. BBQ Sauce (half a bottle for 4 people, more if you prefer it smokier). Mustard (2-3 teaspoons for 4 people). A bit of tabasco or cayenne pepper if you like it spicy. Ovenproof cast iron pan/le creuset type of pan. All you need to do is put all the ingredients in the pan and cook for five hours in a low oven (100-150 degrees). I know that five hours seems like a lot of effort but you really don’t need to touch the pan while the pork is cooking. Take the pan out after the five hours, wait for the pork to cool down, shred it (removing all bones and non-melted grease) and enjoy one of the best pieces of pork you’ll ever have at home! Serve it on buns with some coleslaw, over mash, with black beans on quesadillas, on its own straight from the pan… you’ll quickly find ways to eat that amazing meat! (This works great for a lunchbox too!). This is also a really cheap recipe as pork shoulder is a really cheap cut and well… you probably have most of the ingredients already at home. If you’re feeling fancy you can do this with ribs instead of shoulder, for an extra amazing pulled pork.